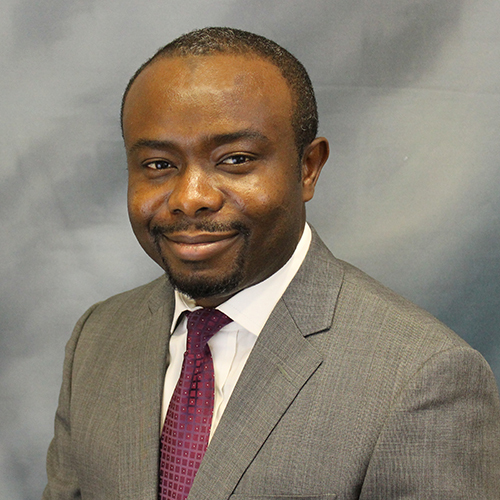 As an educator, Dr. Ewere aspires to impact a yearning for knowledge by instilling a scientific curiosity that will mold exceptional minds for the future. Dr. Ewere’s long-term goal is to facilitate a mastery of the engineering discipline by inspiring his students to realize their own potentials. Dr. Ewere has taught several MAE courses prior to joining NC State in 2018 namely; Fundamentals of Aerodynamics, Numerical Methods, Engineering Mechanics (Dynamics and Statics), Engineering graphics (Solid Edge, SolidWorks and AutoCAD) and computing in Mechanical Engineering. Dr. Ewere’s interests are in the science and technology at the intersection of aerodynamics, structural mechanics, energy and smart materials. Recent works have focused on exploiting aeroelastic instabilities on piezoelectric structures for engineering applications. Outside work, Dr. Ewere plays soccer and likes to visit new places.